On May 31, 2017, SettlePou President J. Allen Smith joined several top DFW business leaders in an Executive Roundtable hosted by Granite Properties. The SPeak Blog caught up with Allen to learn more about this exciting event. SPeak: Allen, please set the scene for us at the Executive Roundtable you participated in. JAS: The Roundtable was a closed-door discussion among myself and six outstanding leaders in the North Texas business community, with an extremely relaxed and candid tone. Several times participants acknowledged that they would not care to be quoted outside of the room, which allowed for a very informative and interesting discussion. It was a “roll your sleeves up” atmosphere and went for 5 hours, which frankly flew by as everyone would probably agree it could have gone on for another couple of hours. SPeak: Sounds like an interesting gathering! Tell us a little more about the participants and the topics. JAS: All participants are C-level executives of various companies and institutions. The topics ranged from the political climate, to the direction of various industries and the economy more broadly, to challenges ahead foreseen by these CEOs. I was extremely impressed with the experience, intelligence, and insights of everyone in the room. SPeak: To the extent you can share, what were some of the most salient issues and takeaways from the discussion? JAS: The broad-ranging discussion hit on a number of interesting points. Ken Hersh, CEO of the Bush Institute and Library, discussed the initiatives of the institute and the tremendous advances that President and Laura Bush have had in the virtual elimination of the transmission of AIDS from mother to child in Africa, as well as the strides made in the fight against cervical cancer for girls born in Africa, who are 4 times more likely to contract cervical cancer as a result of a mother who had AIDS. Ken also described the daily interaction with world leaders visiting President Bush and the positive results on a global scale as a result. For example he cited a visit recently by former Prime Minister David Cameron to the Institute, and just the day of the roundtable, House Speaker Paul Ryan was in town and met with Ken as he was going to a disabled veterans’ fitness and rehab facility in Dallas with President Bush that day. Mike Hansen, CEO of Alkami Technologies, talked about how his company was a start-up just 4 years ago and now employs 600 people in their cloud-based software company, which provides online banking services for approximately 98% of the banks in the country He explained that the typical employee is a programmer or engineer around 33 years old making an average of $120,000 annually, so this is a very high-energy, high-intellect operation. Mike discussed the issues facing his company on growth, future innovation, and cyber security. Granite Properties CEO Michael Dardick discussed the trends with the real estate development industry, changes in tenant density in buildings, and new challenges increased density presents, such as expanded parking requirements. Mike also discussed the growth of new construction, including over 12 million square feet currently under development in the Dallas market, as well as the increase in industrial storage area that now makes Dallas number 3 in the country with over 900 million square feet of industrial space. The Founder and CEO of Common Desk, Nick Clark, described the infancy of the company starting on its third property in the Dallas area with the concept of having open space formats for lifestyle in the workplace. For a reasonable membership fee, a tenant can have the full use of the space and amenities to conduct business and interact with others creating a synergistic environment in the workplace. Nick mentioned that this model is appealing to established companies that look to this as an alternative to taking on more space in the growth process or use this type of space in establishing satellite offices in expanding to other locations. He mentioned that a local company recently moved 25 of their employees into the Common Desk space to expand and grow rather than take on a permanent lease of more space. Nick also added that he is working jointly with Granite Properties to provide this amenity to Granite buildings. Dr. Paul Hain, the Texas Market President for the North Texas Region of Blue Cross Blue Shield, discussed the background of the company originating with a new insurance service offered by Baylor Hospital in Dallas in 1929 and growing to provide insurance to 106 million Americans with more than 1,200 employees. Paul shared how the company is focused on involving more doctors with backgrounds in private practice in the executive team to address the practical needs of the client. He mentioned that in their new headquarters opening next month in the historic West End area of downtown Dallas, they will have a dedicated “lab” to bring in clients in large numbers to provide information and feedback on improvements. He discussed the challenges with the current healthcare laws and concerns about what to expect in the future. The key issue he feels needs to be addressed both by the private sector and government is the incredibly increasing costs of healthcare in the United States. The President and COO of Granite Properties, Greg Fuller, addressed the economy and discussed how both Texas more broadly and Dallas specifically are current national leaders in jobs and growth, with companies and people moving in significant numbers to the area from out of state. Greg indicated the current projections show a strong growth pattern continuing for at least the next 2 years. And, finally, during my turn at the table, I noted that although the AmLaw statistics show the industry has struggled nationally, locally the strong economy and business climate have favored growth for the legal industry in the recent years. I explained that SettlePou is entering its 40th year of existence with a strong direction of 20% growth over the same time last year. Our firm has pursued deliberate and measured growth over the years, with a focus on retention that has paid off -- 59% of SettlePou’s employees have been with the firm for over 5 years, and 20% of firm employees have been with us over 20 years. 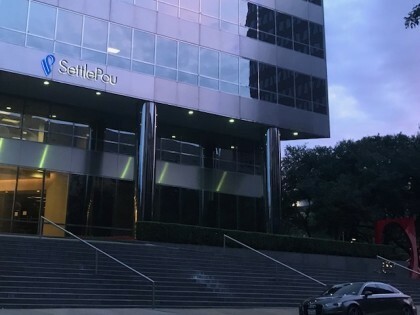 Another positive statistic for the firm is that over 10% of employees have returned back to SettlePou after leaving to another firm previously. Having such a strong, cohesive team with long-tenured knowledge and experience in the markets we serve affords great value to our clients, especially those new to the growing North Texas area. SPeak: Thank you for your time and feedback on this very interesting Executive Roundtable!